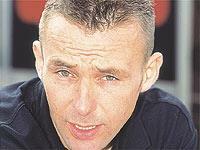 Steve Plater could secure the second berth in the fledging Renegade Racing Ducati British superbike team. But he faces competition from last year’s NCR Ducati WSB pairing Broc Parkes and Giovanni Bussei have both been recommended to Renegade by the Italian factory, who are keen to see them get a competitive ride. Team owner Mark Griffiths was in Italy to meet Ducati factory chiefs last week. Although the main purpose of the visit was to see the four works Testastretta machines allocated to the team and to discuss the back-up package, the Italians have also suggested a number of potential riders to join Shane Byrne in the team. Griffiths said: " Neither Shane nor the team has much experience working with Ducatis, so we want to make sure that we are well prepared for the start of the season. " Renegade is looking to lease or sell the Yamaha R7s it was planning to run before it secured the Ducatis.